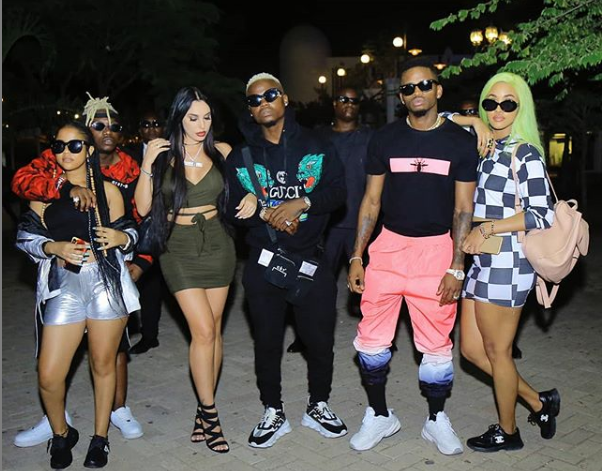 Talented WCB members Diamond Platinumz , Harmonize and Rayvanny seem not to only enjoy a great time musically but have a breathtaking love life outside studio. 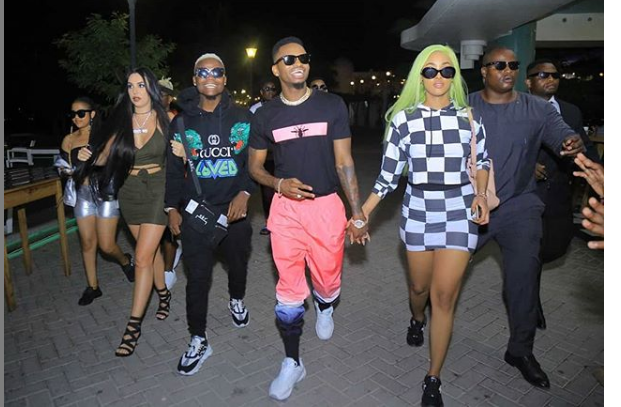 The trio who make up the core unit of the Wasafi records paraded their hot girl friends as the crew stepped out for a group date and family reunion. 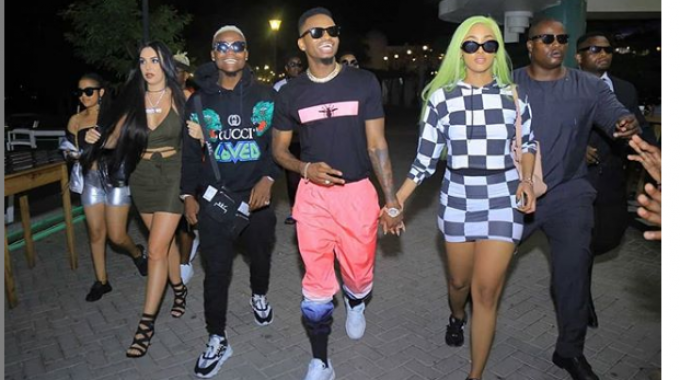 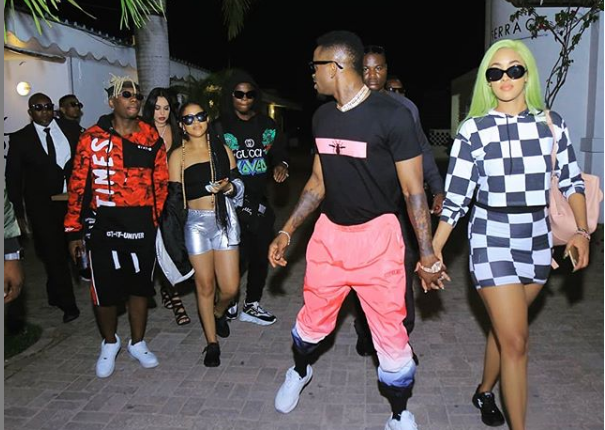 Diamond tagged along with his recently hooked Kenyan girl friend Tanasha Donna,Harmonize looked stylish with his Italian Girl friend Sarah while Rayvanny couldn’t get enough of his long time sweet heart Fahvanny.